LOS ANGELES (AP) — The current season of Neil deGrasse Tyson’s “StarTalk” series is on hold amid sexual misconduct claims against the prominent astrophysicist. The National Geographic channel said Thursday new episodes of the science-based talk show won’t air until an investigation involving Tyson is completed, which could be within the next few weeks. Late last November, National Geographic Networks and Fox said they would examine claims that Tyson behaved in a sexually inappropriate manner toward two women. 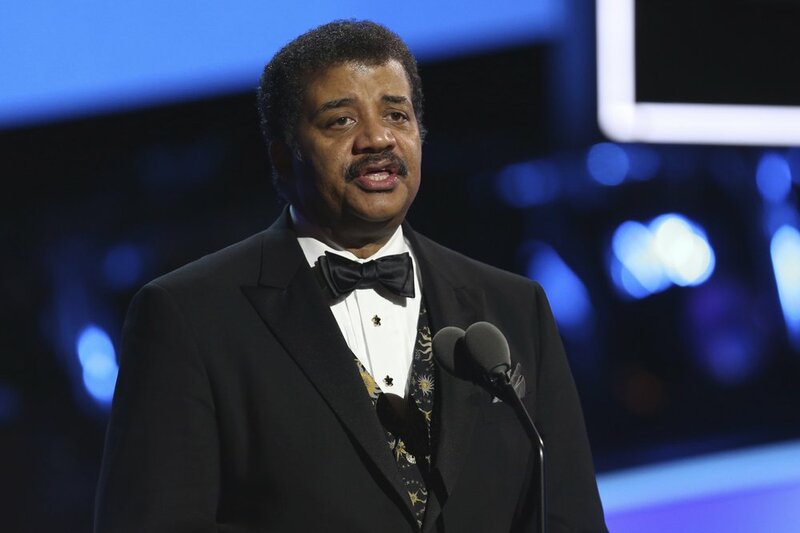 Tyson was host of “Cosmos: Possible Worlds” on Fox in 2014. A new edition of the series was set to air in March on the network and on National Geographic. He has denied an accusation that he groped a woman and denied making sexual advances toward a production assistant at his home. Tyson apologized for making the assistant feel uncomfortable. “StarTalk” began its fifth season Nov. 12, with a handful of episodes aired before the show was put on hold. Guests for the previously announced 20 episodes include former Vice President Al Gore, writer George R.R. Martin and actors Jack Black and Jeff Goldblum. A representative for Tyson did not immediately respond to a request for comment Thursday regarding the “StarTalk” hiatus.